VERDE MEANS GREEN. BUT JUST HOW GREEN IS IT? 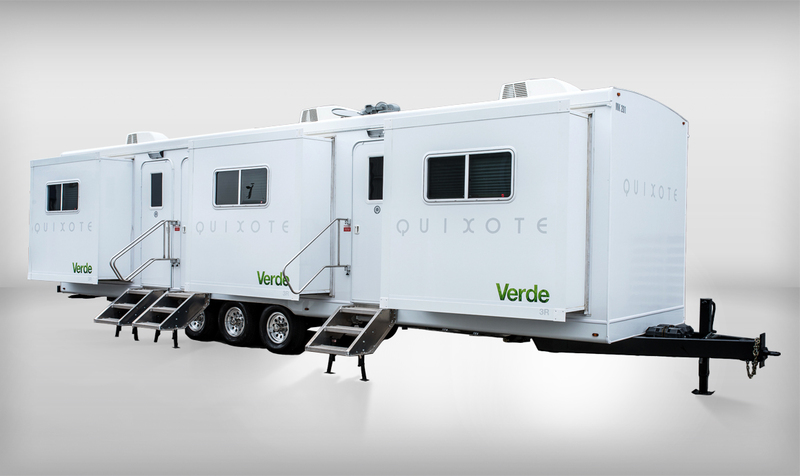 At Quixote Verde matters to us greatly. We believe in the simple notion that as citizens of this planet we have absolutely no choice but to recycle, reuse and re-purpose. It’s a very small gesture that if repeated the world over, will enable us to preserve the awesome ground beneath us. • Table tops are constructed of 100% post-industrial scrap. Very low VOC & LEED certified. • Smaller windows, less heating and cooling loss. • All construction is done with non-formaldehyde plywood. • Sofas are filled with natural latex foam, mother nature’s fire retardant – which lowers the amount of highly carcinogenic PDBE. • LED lighting throughout. Advantages include low energy consumption, long life, improved physical robustness, smaller size, & faster switching. • Generator Evaporative spec: For trailer applications required to meet Tier 3 evaporative emissions of the CA Air Resources Board & Phase 3 evaporative emissions of the EPA for gasoline fueled installed generators.